I read this story as part of my Spanish Challenge. It is a classical ghost story like those of Charles Dickens or MR James. 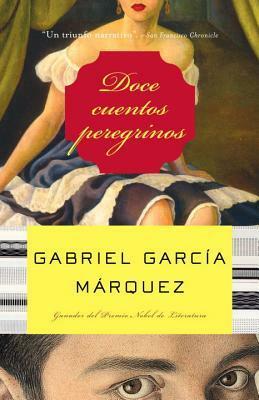 It comes from his collection Strange Pilgrims / Doce Cuentos Peregrinos. Reading these Marquez’s short stories for the first time, I conclude that they are probably more accessible than his magical realism novels to many readers. One Sunday in early August, a family seek out The Renaissance castle of Venezuelan writer Miguel Otero Silva for a visit in the Tuscan countryside. They have difficultly locating it and on asking directions are warned that the house is haunted and not to stay overnight. Inevitably they do. But before retiring to their modernised ground floor room, they are shown the rest of the house including the unchanged room where the original owner, Ludovic, killed his wife and set his own dogs upon himself. .All seems well when the man of the family wakes up the following morning. His wife is still sleeping soundly and his children are in the adjacent room. But all is not well. Marquez hardly builds any tension in the story, but lays the foundation simply in the warning and in the description of Ludovic’s room. “Era el dormitorio de Ludovico. Subtle and not over the top. No blood and gore. Just well drawn. Note: pasamanería - I had to look this up even in English which uses the term passementerie for the art of making fancy trimmings and edgings for clothing or furnishings using gold or silver braid,cord, silk threads, or beads. ¿Tejar o tejer? To tile or to knit?